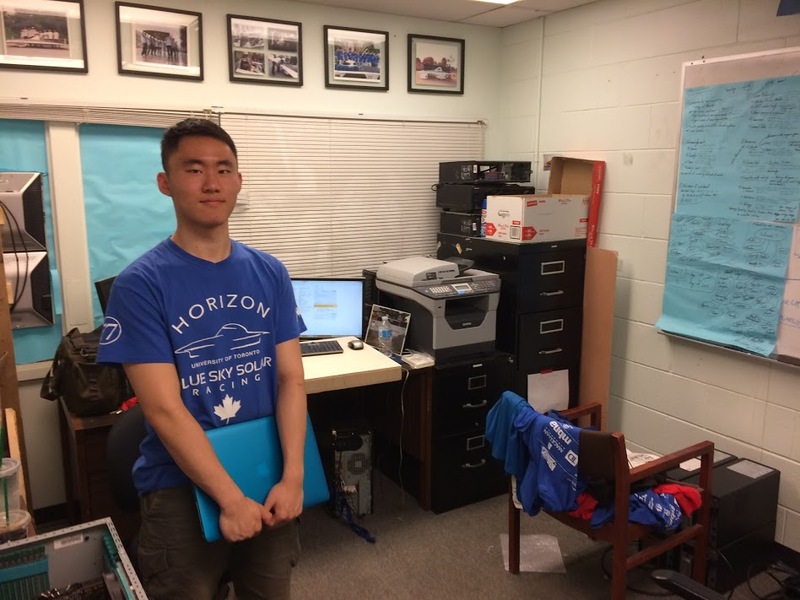 On June 20th, Rishabh Mundhra, ILead’s Student Clubs Liaison, met with Blue Sky Solar Racing’s Project Manager, Frank Gu, to learn more about the design team’s leadership practices. Tell us about Blue Sky Solar. Blue Sky Solar is a student-run undergraduate design team established in 1996 where we build solar-powered electric cars. Since 2003, we have been working towards the Bridgestone World Solar Challenge, a 3000-km race in Australia. What attracted you to Blue Sky Solar Racing? Blue Sky Solar’s platform for personal development is probably the best test rig you to experiment with different ways of leading people and collaborating with others. If you can convince a group of people to work tirelessly for a few thousand hours every year, I think you can probably lead any other team. Also, the industry connections are great – you meet a lot of people, get to shake hands with the president of General Motors, etc. We partner with over 100 companies from finance, healthcare, insurance to aerospace. Why did you decide to lead? I think it was a very distinct moment after the 2015 Bridgestone World Solar Challenge. The team worked hard to be competitive but we placed 12th. At the end of the race, they played a highlight video that showed lots of features of more competitive teams. Our team was featured in just one or two highlights. I felt almost embarrassed, especially given the amount of work our team put into the race. It was then I decided, “Okay, I think I know how to get this team to a competitive stance”. So we set forward with a very ambitious goal of finishing in the top five. From that point on, everything on this team — the entire mentality, the team culture — has been centered on “top five”. What are some of the biggest leadership challenges you face with Blue Sky Solar? Complacency is the biggest challenge I have faced both as a team member and leader. Sometimes we are content with where we are and feel no need to innovate or push ourselves. It is in these moments of “serenity” that a team is most vulnerable to failure. Would you say your leadership experience has changed the way you look at how organizations function? Most definitely. Before, I had a pretty naive view: that as long as there is a good hierarchy, structure, and enough resources, you can accomplish a lot of things and your team will always agree with you. But the reality of the situation is humans have emotions, humans need to have the drive that personal connections with their teammates brings, and most importantly, humans need to have their work validated every so often to keep motivation and productivity high. How much do you value critical reflection in your leadership experience? I think reflection is one of the most important skills, especially giving feedback to yourself on how you handled situations. Whether it was a good decision or a bad decision, just asking yourself “what lead me to this point?” will help you make better decisions in the future.